Beautiful studio inside Fisher Island can be use as residential or commercial office purpose. Studio unit is on the third floor of the building with balcony facing the marina. Visit this lovely 2 bedroom 2 bath Seaside Village rental available to rent short term or long term. Price will be upon request for short term. Features include: 2 bedrooms, 2 baths, 1,429 sq ft interior, marble floors throughout, spacious terraces over looking the garden and many more. Live the Fisher Island Lifestyle in this lovely rental. Unit is also available for sale. Easy to show! Experience Fisher Island living in this charming Lanai ground floor Seaside Village condo with a lovely garden view. The unit is offered fully furnished and available to rent weekly,monthly, seasonal or yearly. Features include: 2 bedrooms, 2 baths, 1,429 sq ft interior, expansive wraparound terraces perfect for entertaining, marble floors throughout, new furniture, new appliances, etc. Located steps away from the sandy beach club, mansion, and tennis center. Fisher Island is private residential oasis offering unparalleled privacy and exclusivity. Its also available for sale asking $1.350M. Easy to show! 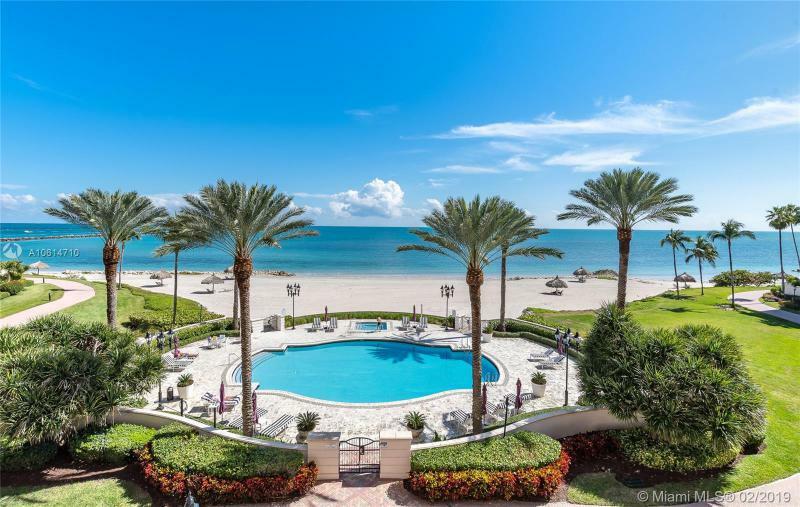 Enjoy this beautiful 2 bedroom, 2 bath ground floor unit with partial ocean views just steps to the beach, Fisher Island Club, and tennis center. Features include: marble floors throughout, stainless steel appliances, renovated master bathroom, spacious terraces perfect for entertaining. This unit is offered fully furnished. Easy to show! 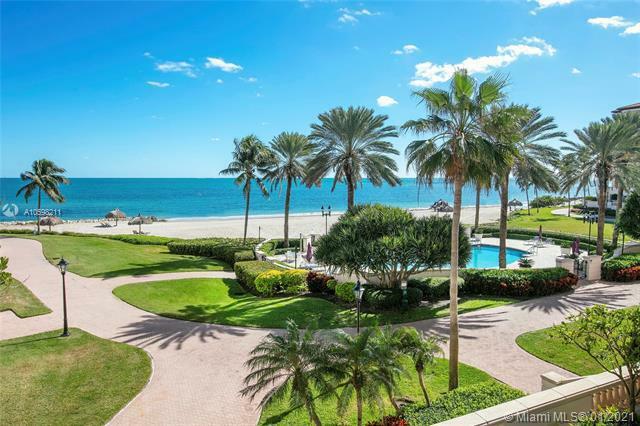 Live the Fisher Island lifestyle in this exceptional unit! EXPERIENCE FISHER ISLAND LIVING IN THIS GORGEOUS SEASIDE VILLAGE UNIT THAT HAS BEEN COMPLETELY RENOVATED. FEATURES INCLUDE: 3 BEDROOMS, 2 BATHS, 1,875 SQ FT INTERIOR, WOOD FLOORS THROUGHOUT, TOP OF THE LINE KITCHEN & BATHROOMS, EXPANSIVE TERRACES PERFECT FOR ENTERTAINING, BUILT INS, WALK-IN CLOSETS AND BEAUTIFULLY DESIGNED AND DECORATED. DONT MISS THIS EXCEPTIONAL RENTAL. ALSO AVAILABLE FOR SALE ASKING $1.850 M. EASY TO SHOW! THIS IS ONE OF VERY FEW FULL 3 BED, 3 BATH UNITS IN ALL OF SEASIDE. COMPLETELY REMODELED, THIS RESIDENCE OFFERS DESIGNER FINISHES AND FURNISHINGS THROUGHOUT, INCLUDING CUSTOM CLOSETS. HIGH END KITCHEN. FLAT SCREEN TVS IN EACH BEDROOM. WALKING DISTANCE TO POOL AND BEACH CLUB, YOUR TROPICAL OASIS AWAITS. Experience unique luxury in South Florida, Fisher Island. this island offers exclusivity, privacy and security. One of the wealthiest zip codes in the USA. its a ferry boat ride away from downtown Miami and minutes away from South Beach. This stunning 3 bedroom 3.5 baths, corner Bayview unit has amazing unobstructed waterfront views of the Miami skyline and breathtaking sunsets. Unit includes a golf cart. Experience Fisher Island living in this lovely fully furnished 3rd floor Seaside Village condo overlooking the ocean. Features include:3 bedrooms, 3 baths, 2049 sq ft interior sq ft, marble floors throughout, renovated kitchen & bathrooms, wrap-around terraces perfect for entertaining, etc. The unit is available for short-term rentals price to be determined based on the time period requested. Just steps away from the sandy beaches, beach club, mansion, tennis and spa. Fisher Island is a residential oasis offering unparalled privacy and exclusivity just minutes away from the mainland of Miami beach. Easy to show! 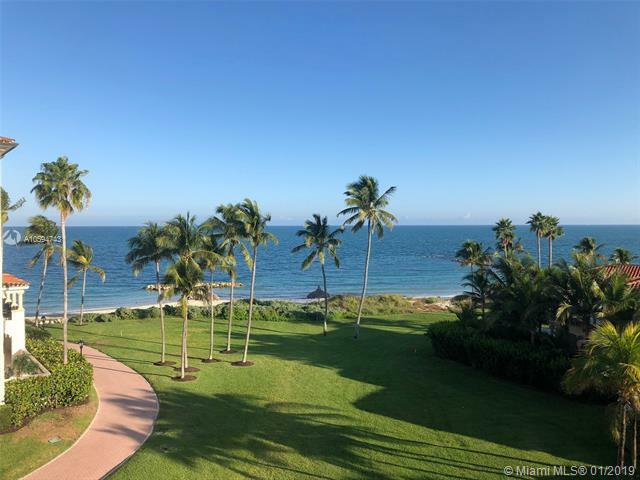 ENJOY THE FISHER ISLAND LIFESTYLE IN THIS MAGNIFICENT COMPLETELY RENOVATED 2 BEDROOM + DEN, 2 BATHS SEASIDE VILLAGE RENTAL UNIT WITH BREATHTAKING OCEAN VIEWS! FEATURES INCLUDE: MARBLE FLOORS THROUGHOUT, TOP OF THE LINE GOURMET KITCHEN AND BATHROOMS, IMPACT GLASS DOORS, BEAUTIFULLY FURNISHED AND MANY MORE FEATURES. FOR SHORT TERM RENTALS PRICING WILL DIFFER. EASY TO SHOW. OCEAN DIRECT VIEWS FROM THIS GORGEOUS 2ND FLOOR SEASIDE VILLAGE RENTAL. PROFESSIONALLY DESIGNED & RENOVATED. FEATURES INCLUDE: 3 BEDROOMS, 3.5 BATHROOMS, PORCELAIN WOOD AND MARBLE FLOORS, TOP OF THE LINE KITCHEN AND BATHROOMS, AUTOMATIC WINDOW TREATMENTS AND IT IS A SMART HOUSE. ASKING $20,000 PER MONTH FOR AN ANNUAL LEASE. SHORT TERM LEASE AVAILABLE ASKING $36,000 PER MONTH PLUS 13% TAX OR $2,500 PLUS 13% TAX PER NIGHT WITH A MINIMUM LEASE TERM OF 14 NIGHTS. LIVE THE FISHER ISLAND LIFESTYLE IN THIS EXCEPTIONAL RENTAL. EASY TO SHOW! 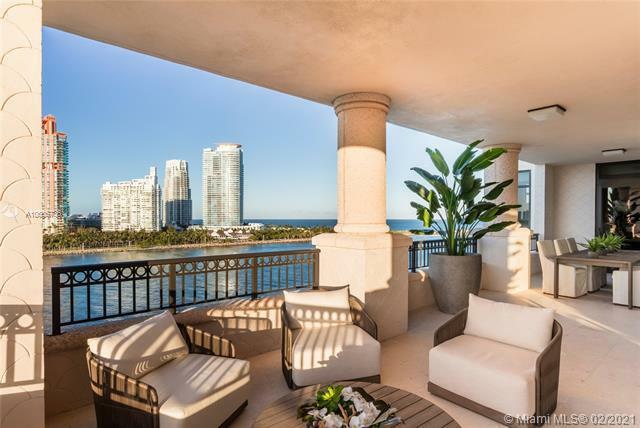 THIS EXQUISITE OCEANSIDE 3 BEDROOM + DEN 3.5 BATHS CORNER UNIT REDEFINES LUXURY LIVING IN FISHER ISLANDS MOST DESIRED LINE WITH OCEAN DIRECT VIEWS AND LOTS OF PRIVACY. FEATURES INCLUDE: AN EXPANSIVE WRAP AROUND TERRACE OVERLOOKING THE OCEAN, KEY BISCAYNE & ONE MILE OF PRIVATE BEACH, MARBLE & WOOD FLOORS THROUGHOUT,IMPACT GLASS DOORS & WINDOWS, UPGRADED KITCHEN WITH TOP OF THE LINE APPLIANCES PERFECT TO ENTERTAIN AND MANY MORE. 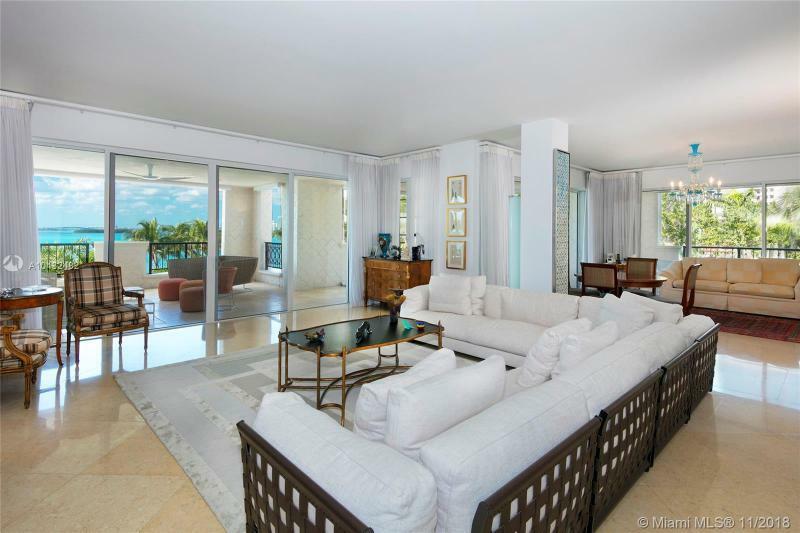 LIVE THE FISHER ISLAND LIFESTYLE IN THIS EXQUISITE 2ND FLOOR UNIT! EASY TO SHOW. 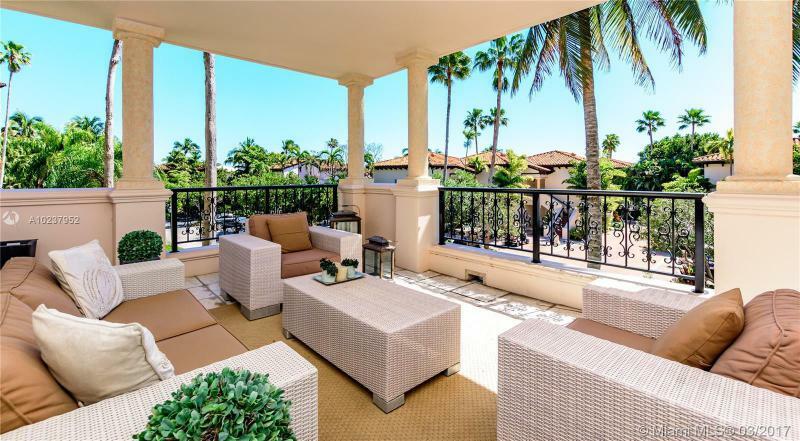 This 3BR/3+1BA Oceanside corner unit features 3,691 SF of immaculately designed interior spaces w/Crema Marfil marble floors, Venetian plaster walls & large ocean side wraparound terrace w/unobstructed sunrise beach & Atlantic Ocean views. Spacious open living room w/a beautiful onyx bar & dining room surrounded by walls of glass that stream natural lighting. An amazing gourmet kitchen sports top of the line Miele & Sub-Zero appliances, custom Snaidero cabinetry & a large breakfast area. The sumptuous master suite offers an office space, direct terrace access & stunning master bath w/limestone floors, walk-in rain shower & sunken spa tub. 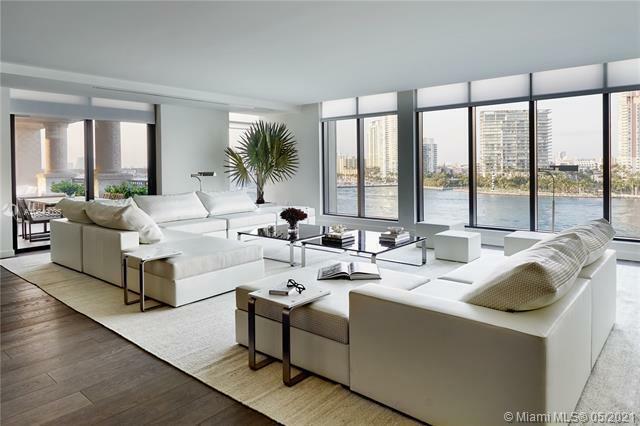 The other two bedrooms each with en-suite bathrooms & share a terrace w/Fisher Island views. 5-star Fisher amenities complete this offering. Experience Fisher Island living in this charming Lanai ground floor Seaside Village condo with a lovely garden view. The unit is offered fully furnished and available to rent weekly,monthly, seasonal or yearly. Features include: 2 bedrooms, 2 baths, 1,429 sq ft interior, expansive wraparound terraces perfect for entertaining, marble floors throughout, new furniture, new appliances, etc. Located steps away from the sandy beach club, mansion, and tennis center. Fisher Island is private residential oasis offering unparallel privacy and exclusivity. Its also available for rent asking $8,500 per month for a yearly rental. Easy to show! 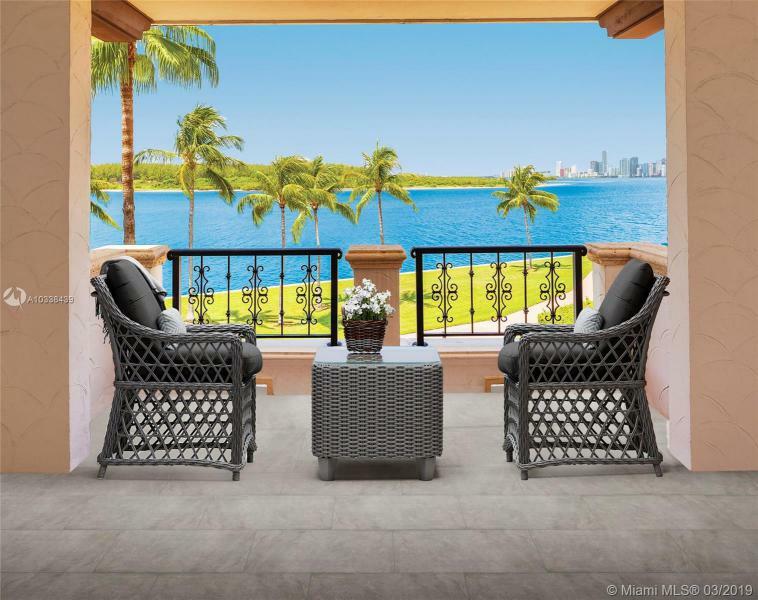 EXPERIENCE FISHER ISLAND LIVING AT ITS FINEST IN THIS LOVELY 3RD FLOOR BAYVIEW UNIT OFFERING BREATHTAKING PANORAMIC VIEWS OF BISCAYNE BAY AND THE MIAMI DOWNTOWN SKYLINE. FEATURES INCLUDE: OVERSIZED TERRACES PERFECT FOR ENTERTAINING, 2 BEDROOMS PLUS DEN, 2.5 BATHS, 1,950 SQ. FT. INTERIOR, MARBLE FLOORS THROUGHOUT, FLOOR TO CEILING SLIDING DOORS, GREAT VIEWS FROM EVERY ROOM, WET BAR AND MANY MORE FEATURES. THE BUILDING HAS BEEN RECENTLY RENOVATED WITH NEW ELEVATORS, GARAGE, FRONT ENTRANCE, LANDSCAPING, MARBLE FLOORS IN THE COMMON AREAS, ETC... ALL ASSESSMENTS HAVE BEEN PAID IN FULL. BUYER DOES *NOT* HAVE TO PURCHASE SELLERS EQUITY MEMBERSHIP. LIVE THE FISHER ISLAND LIFESTYLE IN THIS EXCEPTIONAL UNIT! EASY TO SHOW. Visit this lovely 3 bedroom 3 baths corner unit on Seaside Village. Features include: marble and wood floors throughout, an open kitchen with top of the line appliances, granite countertops, expansive terraces, east exposure, with an ocean partial view, etc. The building allows short term rentals. Floridas ultimate private island resort destination offering the best-in-class golf, tennis, spa, marinas and casual & fine dining. Live the Fisher Island lifestyle in this beautiful unit. 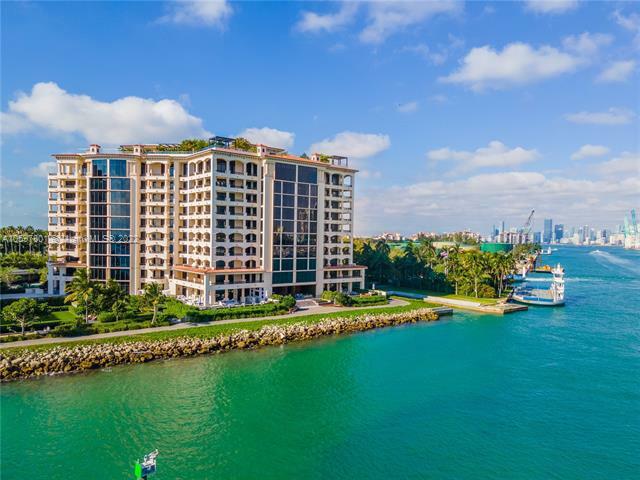 Enjoy Fisher Island living in this beautiful second floor unit! Exceptionally renovated to perfection! Modern finishes incl. sleek contemporary kitchen, light and spacious open living area, SPA shower w/sunken tub and dual rain shower heads. Preferred ground floor location offers easy access to pool area & terrace entry. Gated and secured terrace for children or pets. Marble floors throughout. Best 3 BR value! Why go thru renovating another unit when this one is done and simply gorgeous! Low profile A/C vents.Seller is keeping their Equity membership. 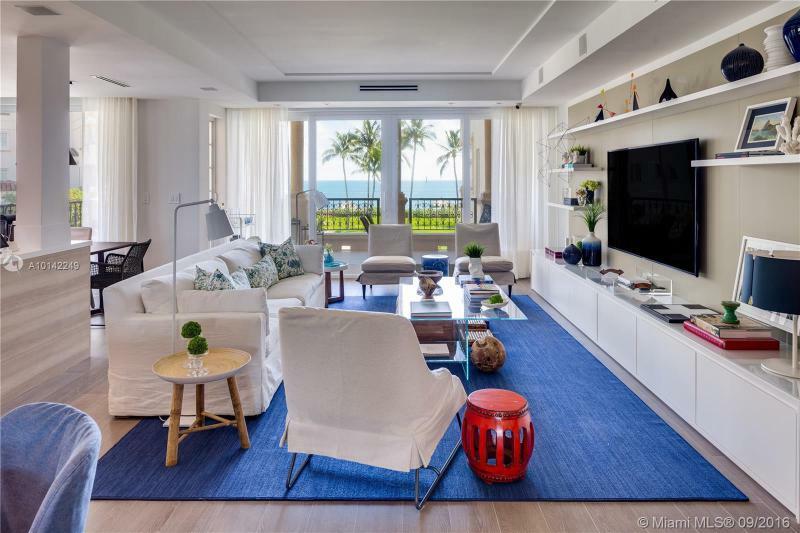 NEWLY RENOVATED BAYSIDE RESIDENCE DONE IN A BEACH HOUSE STYLE ON FISHER ISLAND! Full size 3 bedroom residence has Breathtaking Views of the Biscayne Bay with Magical Sunsets that drape over the City of Miami Skyline and the Inter coastal Government Cut w Cruise Boats passing by. Upgrades include White Glass Floors, New Lacquered White & Grey kitchen, New White Marble Baths, Hurricane glass, Custom window treatments & much more. The unit comes with 2 assigned parking spaces,1 golf cart space and a large storage unit. Secluded and yet a few minutes away from South Beach & Downtown Miami, Fisher Island offers a Private Resort lifestyle which includes an array of unmatched amenities from golf to tennis, beach to spa, bird-watching to biking & yachting to fine dining. Amazing ocean view unit in one of Fisher Islands incredible Oceanside building. large 3 bedroom, 3.5 bath featuring marble floors in the main living areas, wood floors in all the bedrooms, large kitchen with breakfast area, master bedroom has private terrace with an east view of the ocean as well as his/her walk-in closets, additional bedrooms have a west view of the sunset from private terrace, impact doors, wraparound terrace with spectacular ocean view. Located in the center stack of the building providing additional privacy. Live the fisher island lifestyle in this elegant private oasis with amazing amenities, Easy to show. 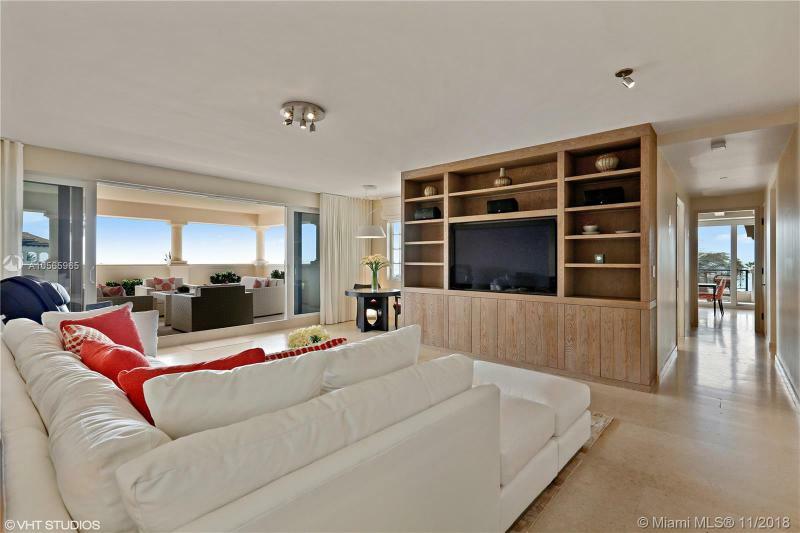 This elegant 3BR/3+1BA Oceanside Southeast corner unit in Villa del Mare features fine marble floors, 3,140 SF of interior space & a 1,200 SF wrapping terrace with amazing sunrise views to Government Cut, the beach & Atlantic Ocean. A flow through living & dining room layout w/high ceilings, wet bar & a gourmet kitchen w/top of the line appliances & separate breakfast area all w/ amazing beach & ocean views. The spacious master suite sports a seating area, walk-in closet with built-ins, private terrace overlooking the beach/ocean. The large master bathroom w/double sinks, vanity, & sunken spa tub. Residents will enjoy the new amenities including beach club, spa, gourmet market, golf course, tennis, Vanderbilt mansion, two deep water marinas, fine restaurants & a private school. IMPECCABLY DESIGNED WITH OVER $3 MILLION OF RENOVATIONS & FINELY APPOINTED FINISHES OVERLOOKING THE PERFECT SUNSET VIEWS! This gut renovation boasts the finest construction quality of all Fisher Islands Bayside Residences just completed in August 2018. Extra wide glass panels wrap the social areas embracing the Magical Sunset & Bay Views. It comes equipped with a rarely found Ernesto Meda Italian White Glass Kitchen, Miele & Sub Zero appliances; Custom Italian Wide-Planked Blonde Oak Wood Flooring; 3 Bedrooms Convert to 4; All Bathrooms in Bookmatched Silk Georgette Marble; Minotti & Custom Turri Milano Furniture; Entertaining Bar with Glass Wine Storage; Media Room; Smart House System integrating Crestron & Lutron; Japanese Water Filtration System; 2 Parking Spaces & 2 Golf Cart Spaces. This one of a kind 3 bedroom, 4.5 bath corner unit redefines luxury living in Fisher Islands newest building Palazzo del Sol. Professionally designed and decorated the unit is offered furnished. Interior finishes such as oak wood floors, custom built-ins, private elevator, 10 ft ceilings, Boffi kitchen with Gaggeneau & Subzero appliances, Boffi master bathroom with bookmatched marble, Lualdi doors, Apure lighting, wine cellar, bar, family room, den, etc. make this an exceptional unit. The expansive wraparound terraces are perfect for entertaining with views of govt cut, ocean, Fisher Island and the Miami skyline. Building amenities: butler-service aperitivo bar, theatre, beauty salon, massage rooms, business center, concierge, valet, etc. Live the Fisher Island in this private oasis. WALK RIGHT INTO BREATHTAKING OCEAN VISTAS IN ONE OF THE BEST FLOORPLANS EVER DESIGNED ON FISHER ISLAND! Located in one of the Top buildings that completed full renovations of all its public spaces...this spacious 4 Bedrooms + 5.5 Baths Split Floorplan boasts Unobstructed Views of Mile-long Beach, Biscayne Bay & the Islands Golf Course. Dine & Entertain in generous exterior terraces that wrap Residence w double exposures & a Hot Tub overlooking the Beach for ideal indoor/outdoor lifestyle. Designed by Jerry Robertson w Cabochon Limestone Floors & detailed moldings in soft Cream tones. Double facing fireplace in grand living area, wet bar, huge eat-in kitchen & dining area/family room. Timeless Living Comfort Perfect for a Family! Parking for 2 cars & 1 golf cart + 1 storage space. LAST UNFURNISHED 4 BEDROOM ON EAST SIDE OF PALAZZO DEL SOL!!! Spacious 4,956 SF C East4 Bed/4.5 Bath Floor-Thru floorplan is the Last in building. Spectacular Direct Ocean, Bay & South Beach Views from High Floor. Beautiful Wide-plank European Oak Wood Flooring throughout, Wraparound Terrace w/Flooring, Private Elevator entry, 10 ceilings, Boffi Kitchen w/Gaggenau & SubZero appliances, Boffi Master Bath w/BookMatched Statuaria Marble+soaking tub. Lualdi interior Doors. Porsche Design Apure Lighting. Nest Thermostat+Linear Air Diffusers. 2 Parking Spaces +Garia Golf Cart w/space. Building Amenities & Services: Butler-Serviced Aperitivo Bar & Lounge, Theatre, Hair/Makeup Salon, Private Massage Rooms, Business Center, Gym+Cardio Room, Kidville Playroom, Concierge, Zero-Edge Pool & Spa. BEACH HOUSE LUXE ~ WATERFRONT LUXURY W/REFINED DESIGN BY ANTROBUS + RAMIREZ!!! Floor-through C East Open Floorplan w/palette of Materials & Colors from Award-Winning design duo also responsible for lobby level Amenities which evoke Tropical surroundings & relaxed lifestyle of Fisher Island. Turnkey 8th Floor residence is Move-in Ready w/4 Bedrooms & 4 Bathrooms + Powder. 4,956 sf Interiors + 900 sf Terraces. Direct Ocean View from Living Room + vistas of S. Pointe Park, Biscayne Bay, downtown Miami & Fisher Island. Private Elevator Entry. Perfect for families w/curated Childrens bedroom+bathroom. Chefs Kitchen by Boffi w/Gaggenau +SubZero appliances. Statuaria Bookmatched Marble master bath w/Dornbracht+Duravit fixtures. New construction. Fisher Islands only full service building. 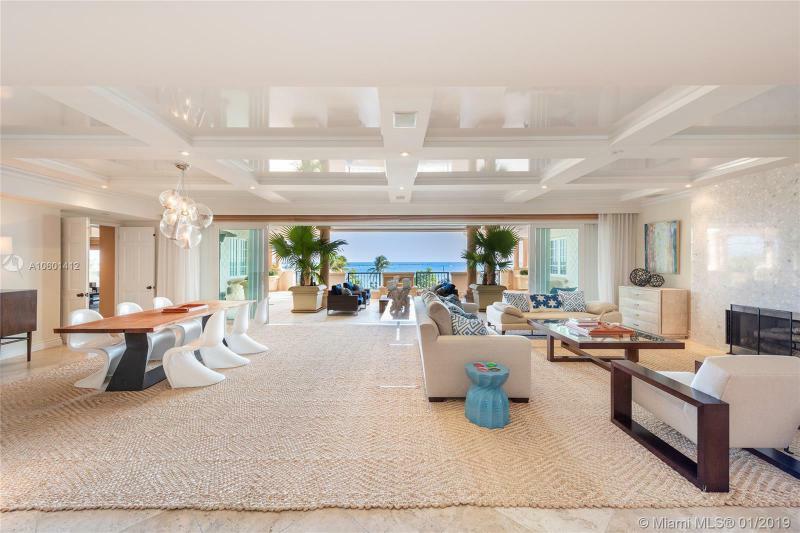 This spectacular oceanfront residence in Villa Del Mare features an expansive wrap-around terrace & stunning city, Government Cut, beach, Ocean & sunrise views. This home sports fine marble floors boasting 6,820 SF of luxury, spacious living/dining areas & family room all w/sweeping ocean views. Chefs kitchen w/granite center island & eat-in seating, top the line appliances & separate breakfast area. The master suite features terrace access w/unobstructed beach & ocean views & full his & hers master bathrooms. His master bath w/walk-in closet, double sinks, glass/marble rain shower. The elegant hers master bath features large walk-in closet w/built-ins, marble/glass shower & amazing spa tub. Maintenance fee is $4,423 per month. F.I.C.A. fee is $6,729.76 per quarter. BOTTEGA VENETA SHOW HOME: WORLDS FIRST & ONLY RESIDENCE DESIGNED BY THE TOP ITALIAN FASHION BRAND!!! Sophisticated Design & Rich Hues in this 4 Bed/4.5 Bath designed by Bottega Veneta & Fully Furnished w/new Home Collection. Furnishings designed by Tomas Maier. Private Elevator Entry Entry w/Leather-Paneled Foyer. 5K SF Floorplan w/Views of SoBe, Gov Cut & Fisher Isl. Wide-plank Oak Wood Floors thruout, 10 floor to ceiling glass, Boffi Kitchens w/Gaggenau & SubZero apps, Boffi Master Bath w/BookMatched Statuaria Marble. Lualdi interior Doors. 2 Parking Spaces + Garia Golf Cart. Building Amenities: Butler-Serviced Aperitivo Bar & Lounge, Theatre, Hair/Makeup Salon, Private Massage Rooms, Business Center, Gym & Cardio Room, Kids Playroom, Concierge, Pool & Spa + Refreshment Attendant.